Looking For An Easter Egg Hunts In Portland? We've Got Suggestions! 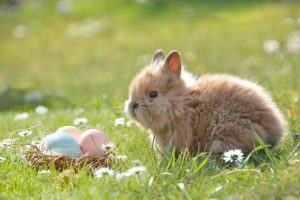 Looking For Easter Egg Hunts In Portland? We’ve Got Suggestions! Easter is the time to rejoice and be thankful for the gift of life, love and joy. And Oregon has plenty of surprises waiting for you this Easter so that you can make the most of this festive time. If you are located in Portland, or are looking for someplace to take your kids for a proper Easter egg hunt, then we are here with a list of top Easter egg hunts in Portland! If you want to celebrate Easter in traditional style, head to the Oregon Zoo for the annual Rabbit Romp! 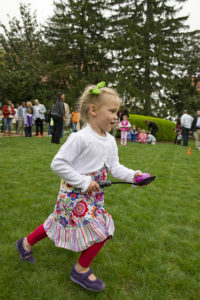 A great place to be if you have kids, the event has got plenty of egg hunts to offer you. The best part is that the eco-eggs used during the event are fully compostable, and are filled with surprises like candies for the kids. And, entry to the event comes free with a Zoo-ticket. So you don’t have to pay anything extra! Another great choice for Easter egg hunts in Portland is at the 55th annual Easter egg hunt at Alpenrose Dairy! The grounds are teemed with hundreds of eggs, containing hidden surprises and gifts for you. These guys keep the morning hours reserved for the kids from the age 3-5, and the kids of up to 6-8 years are free to hunt after 12:30 P.M.
Another of the Easter egg hunts in Portland is hosted by the City of Portland at Peninsula Park’s EggStravaganza! Held at Peninsula Park in North Portland, kids aged from 18 months to 5 years can participate in search of colorful eggs, which are full of candy and other pleasant surprises to help celebrate Easter’s festivities. The last event on our list is the annual Hippity Hop Bunny Hop Through The Pearl celebration! Hosted in Jamison Square in Portland’s Pearl District, this annual event brings ten nearby businesses offering sweet treats. Apart from some amazing foods to try, there are activities like face painting, art projects and stamps and more. Be part of the event and get ready to celebrate Easter in style this year! 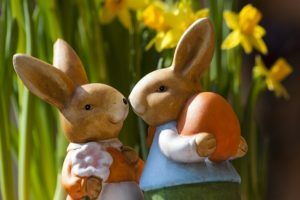 There you have it – our list of events which you cannot afford to miss out on this Easter if you are in Portland, or want to take a fun day trip with the family. Choose to be part of any one of these and be sure to bring smile on the faces of your whole family during this festive season! What are you waiting for? Easter is just around the corner, so decide quickly where you want to be before it’s too late!